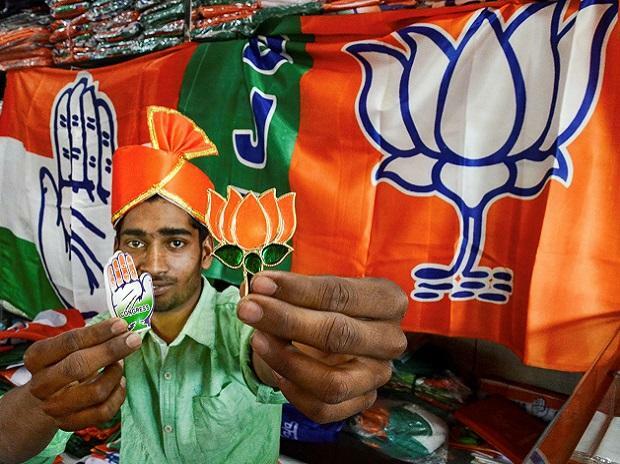 The Congress on Monday pulled an April Fool's prank on the Bharatiya Janata Party (BJP) by tweeting out a parody manifesto of the ruling party for the upcoming Lok Sabha polls. The fake manifesto was titled 'Ek Bharat, Berozgaar Bharat” that translates as “One India, Unemployed India'. The document takes a jibe at the BJP's 'Ache din aayenge' pitch that it used during the 2014 Lok Sabha elections. Written in small alphabets below the slogan is 'kabhinakabhi' (someday). Under the header 'Modi vision for India', the document lists the following: dictatorship over democracy, passive-aggressive anti-people governance, advertising over work, PR for life, critics = anti-nationals, among other things. The spoof claims that five years of BJP led rule has given the country its first WhatsApp University, its first 'blog minister Arun Jaitley' and a 'rename sarkar'. While taking digs liberally on the government's policies, the document seemed to exercise restraint in one case -- the 'Our promises' section states "All defence deals to be awarded to AA". Another 'promise' is “15 days of notice to loan defaulters to fly off to their country of choice.” Meanwhile, Congress and BJP have upped the ante in campaigning for the Lok Sabha elections 2019 even as only 10 days remain before polling commences.